The Park itself has three distinct points of interest. To the north is the Pacific Ocean where the park enjoys uninterrupted access and views of Ohiwa Beach and the ocean. 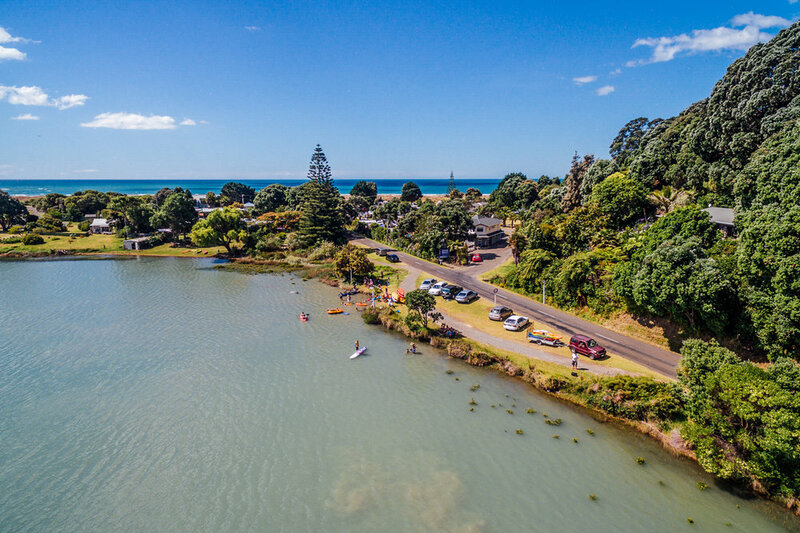 To the West is the Ohiwa Harbour, where safe swimming, kayaking, fishing and many more activities are enjoyed. Directly behind the park is 20 hectares of coastal native forest waiting to be explored. Within the 20 hectares of this native forest is the Ohiwa Nature Trail. The Ohiwa Nature Trail is one of the many Ohiwa walking tracks that are available within a short distance of the park. 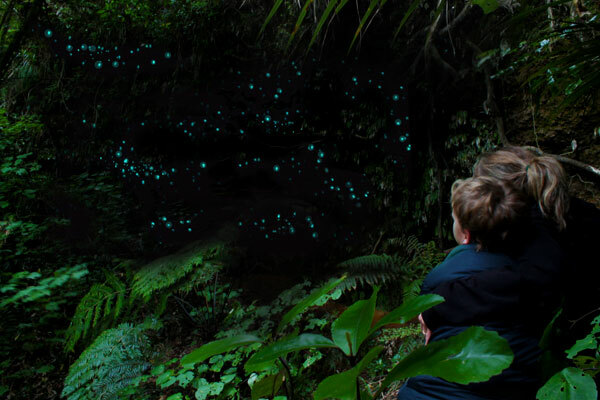 Flowering pohutukawa trees and songbirds look over the park, it's bush walks, Ohiwa Nature Trail and the Glow Worm Grotto. The Ohiwa Harbour is one of the premier natural jewels in the Eastern Bay of Plenty's geography and is only footsteps from our Park. The Ohiwa Nature Trail is only 5 minutes walk from the park and is set amongst 20 hectares of coastal native forest. Ohiwa Glows Worms is a fun and unique family attraction after dark and only a 10-15 minute walk from the park. 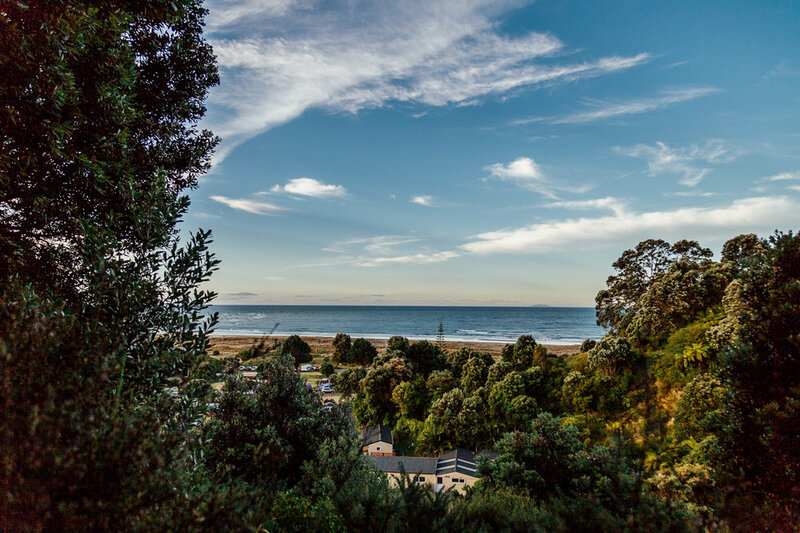 Located at the eastern end of the Bay of Plenty, Opotiki is the gateway to the East Cape or your last stop before the winding Waioeka Gorge road taking you to Gisborne . 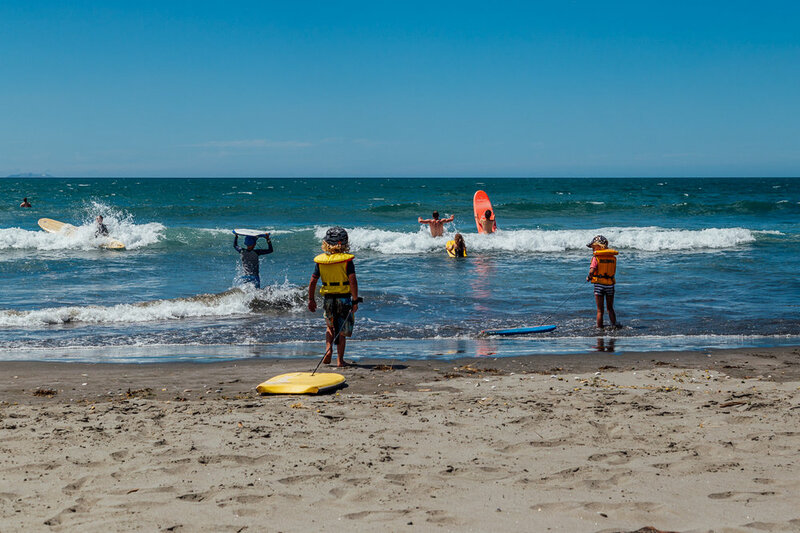 Only a 12 minute drive from Ohiwa Beach Holiday Park, Opotiki is the closest small town to the Park. The town centre in Opotiki. Whakatane just 30 minutes to the West of Ohiwa is a coastal town of approximately 18,000 people, with another 15,650 people living in the surrounding Whakatane District. According to Māori history Whakatane was the site where Māori first settled in New Zealand some 1000 years ago from their Polynesian homeland of Hawaiki. Whakatane is the current sunshine capital of New Zealand with a phenomenal 2792 sunshine hours – an average of more than 7.5 hours every day!